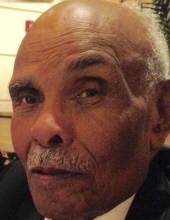 Clarence Wesley Holloway, 96, Lieutenant Colonel Air Force (Retired), a Documented Original Tuskegee Airman who was awarded a Congressional Gold Medal, entered eternal rest on April 11, 2018 in Montgomery, Alabama. Born July 1921, the third son of George A and Annie McCormick Holloway, Clarence attended the Bluestone-Harmony Academy in Keysville, Virginia and graduated from Lunenburg Training School located in Victoria, Virginia. With the encouragement of his mother, Clarence enrolled at Tuskegee Institute (now Tuskegee University). While attending Tuskegee, Clarence met and married his wife of 63 years, Frances Elvira Roy. Clarence enlisted in the Air Force Reserve Officers Training Program (ROTC) and in 1949 graduated with a Bachelor of Science degree in Agronomy (Agriculture) and was designated as a distinguished military graduate by the Secretary of the Air Force and tendered a Commission in the regular Air Force as a Second Lieutenant. Clarence continued his educational studies receiving a Master of Science degree in Agronomy from Tuskegee Institute 1956 and a Master of Arts degree in Educational Counseling from Chapman College in 1971. Clarence was the last living charter member of Tuskegee’s Gamma Phi chapter of Alpha Phi Alpha, the first intercollegiate Greek-letter fraternity established for African American men. Clarence served in the Air Force for 33 years and most notably served as the first commander of the ground-breaking Air Force ROTC detachment at Alabama State University (ASU) Detachment 019 the Aerospace Studies program for all universities in the Montgomery area including Auburn University of Montgomery, Troy University, Faulkner University and Huntingdon College. In 1974 the detachment commissioned its first class of Second Lieutenants including the first African American female commissioned as an Air Force officer in the state of Alabama. After his retirement from the Air Force, Clarence served as the Director of Personnel and Human Resources at ASU. Clarence was preceded in death by his wife Frances, his brothers George A. and Dwight F. Sr., and his oldest son Clarence Alphonso. Survivors include his children, Jocelyn Holloway Dobbins (Bradley), Deserene Holloway Worsley (Marcus), Ques A. Holloway, his grandchildren, his sister, Annie Holloway Holmes, a nephew and a vast number of other loving relatives and caring friends. Funeral services will be conducted 11:00 A.M. Friday, April 20, 2018 at Calvary Baptist Church, Victoria, VA. The family will receive friends on Friday from 10 AM until 11 A.M. at the church. In lieu of flowers, the family requests that memorial donations be made in his name to Dexter Avenue King Memorial Baptist Church Legacy Center, 455 Washington Avenue, Montgomery, AL 36104, or Calvary Baptist Church, 2246 Rehoboth Rd, Victoria, VA 23974. To plant a tree in memory of Clarence Wesley Holloway, please visit our Tribute Store. "Email Address" would like to share the life celebration of Clarence Wesley Holloway. Click on the "link" to go to share a favorite memory or leave a condolence message for the family.